Join in with the famous nursery rhyme in this 25th anniversary edition of a bestselling bedtime favourite. 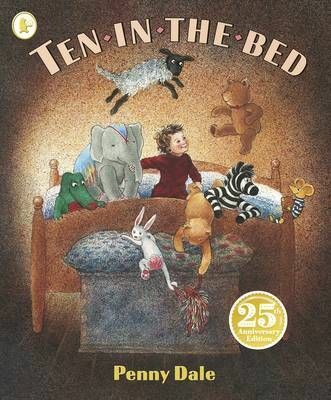 A beautiful 25th anniversary edition of a bedtime favourite, this is Penny Dale's warm, funny and much-loved take on the bouncy bedtime rhyme of 'Ten in the Bed'. With ten in the bed, it's a bit of a squeeze! Roll over, roll over! But the little one gets cold all alone, and soon all ten are snuggled up and fast asleep. Children will love reading this famous rhyme and shouting out the crash, thud and bump noises - bedtime has never been such fun!